So, you have a material that you would like to make smaller for a given purpose. Sounds simple, right? Well, in most cases it is. However, there are a number of considerations that must be made to get you to the finish line in the most efficient and most economical way. Material remains in the hammer mill’s grinding chamber until it is able to pass through a screen or grate with certain size openings. 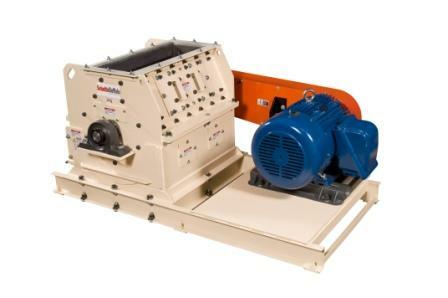 Industrial hammer mills have the simplest and most recognizable funtionality. A rectangular steel chamber houses a shaft to which swinging hammers are attached. As the shaft rotates at high speed, the hammers flail out impact the material. In addition to the hammers, size reduction occurs through particle on particle contact and through contact with the breaker plate inside the grinding chamber. 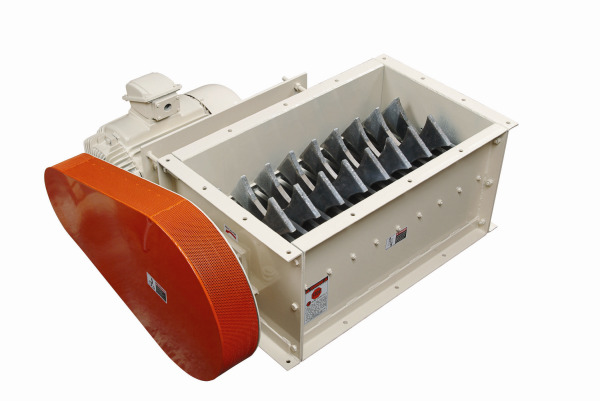 Because of their simplicity, the industrial hammer mill is easily adaptable to different sizes and mill designs. Important to know: Replaceable steel liner plates protect the mill's interior from wear caused by grinding abrasive materials. Ideal Applications: glass, coal, coke, dry chemicals, metals, resin, porcelain, aggregates, brass, ceramics. The grinding mechanism of this group is quite simliar to the gravity discharge hammer mills. However, the pneumatic mills typically use a thinner hammer and the interior wall of the grinding chamber features a ribbed liner plate. This plate has a washboard effect on the material, and works in unison with the hammers and particle on particle impact to reduce the material. The biggest difference of course is the group's the use of air assitance to evacuate material from the mill. Whether attached to the main mill shaft, or as a separate optional component in a high production model, the fan pulls the the material through the mill, and conveys it to storage. Important to know: Specially designed notched hammers are ideal for tearing and shredding. In addition to assisting the evacuation of light or low density materials, the pneumatic suction can increase throughput up to 400% over gravity discharge hammer mills. This next group also features the same grinding mechanism as the first two, and the same thin hammers as the pneumatic hammer mills. The amount of screen coverage is what sets the full circle screen hammer mills apart. The nearly 300 degree coverage of the rotor translates to a greater surface area for the processed material to evacuate the grinding chamber. As a result, compared to the industrial mills, you get greater throughput per horsepower with full circle screen hammer mills. Important to know: To achieve the circular, nearly full coverage of the rotor requires that the screen be somewhat pliable and therefore relatively thin. Because of this, the full circle screen mill is best suited for light, easy to grind materials to that do not require initial grinding against a breakerplate. 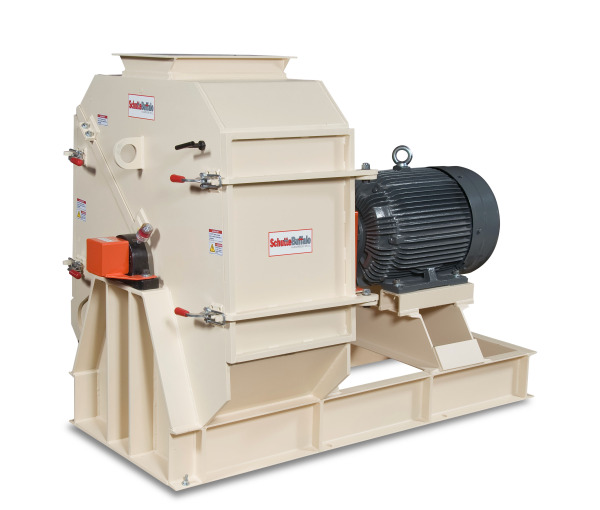 The unique quality of the horizontal infeed mills is that material is fed into the side of the hammer mill, instead of the top. This design makes them ideal for long, linear or otherwise large, geometric materials to be processed with out a pre-grind. 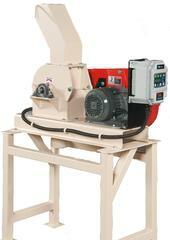 This group includes trim scrap grinders and pallet grinders. As with the prior styles, the horizontal mills use heavy duty screens covering the discharge area to determine finished particle size. Important to know: the style and design of the hammers aggressively moves the material into the mill. Feed rolls are ideal to properly control the rate that material enters the grinding chamber. The Lumpbreaker is quite different from the prior categories in both design and functionality. Instead of swinging hammers attached to a shaft rotating at high speed, the lumpbreaker has stationary hammers attached to a slower moving shaft. As the shaft rotates, the hammers remain rigid, and pass between combs attached to the wall of the grinding chamber. Lumpbreakers do not use screens for sizing. Instead, the configuration of spacing between the hammers and combs, along with hammer size and RPM allows some control over the finished particle size. Important to know: The open infeed, fixed hammers and slow shaft rotation give the lumpbreaker the ability to accept a certain amount of a headload, making it suitable for large blocky materials, de-agglomerating, de-lumping, and returning materials to a flowable consistency. For the purpose of this post we broadly examined five of the more common styles of hammer mills. It is important to note that each of these categories could be further broken down to highlight the scope of its variables.